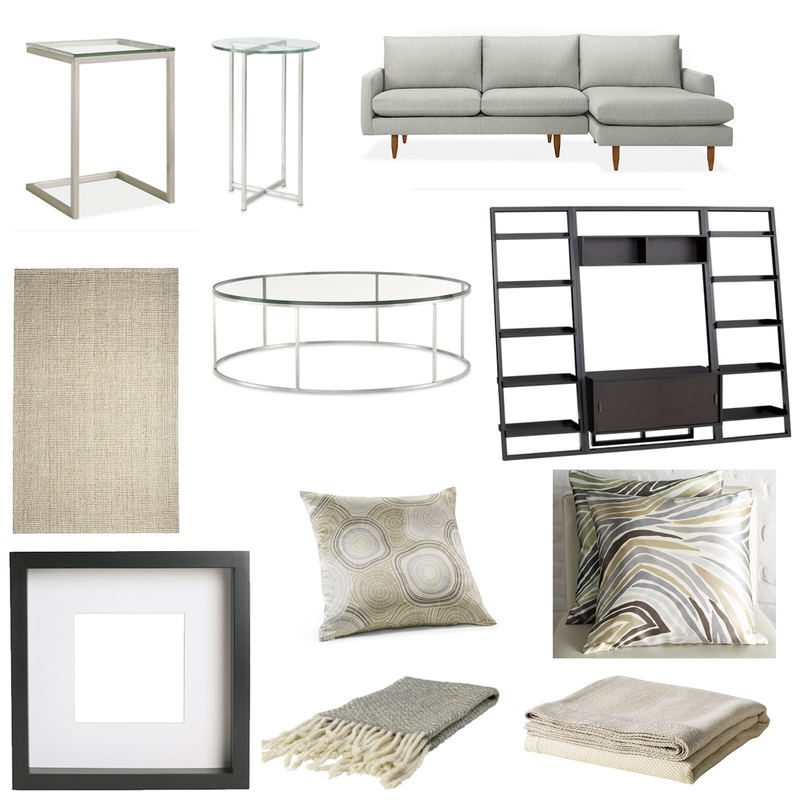 Today's inspiration board is for a basic family room that can be accessorized according to the season, or just by your mood! Using staple pieces in neutral colours and finishes allows for colour to be moved in and out without redesigning the whole space. 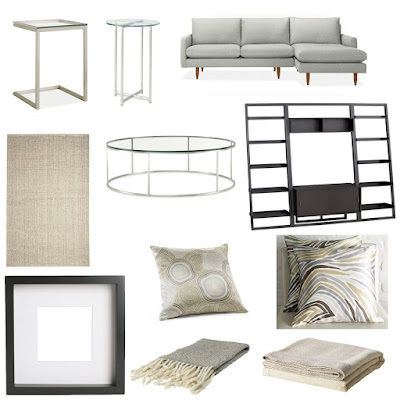 I kept to a palette of soft greys and beiges, mixed with a fewer darker/brown blacks, and finished with some silvery stainless steel and glass. The walls of this room could be painted almost any colour, but I would probably stick to a grey, cream, or white shade to allow the artwork to really bring a bold punch. 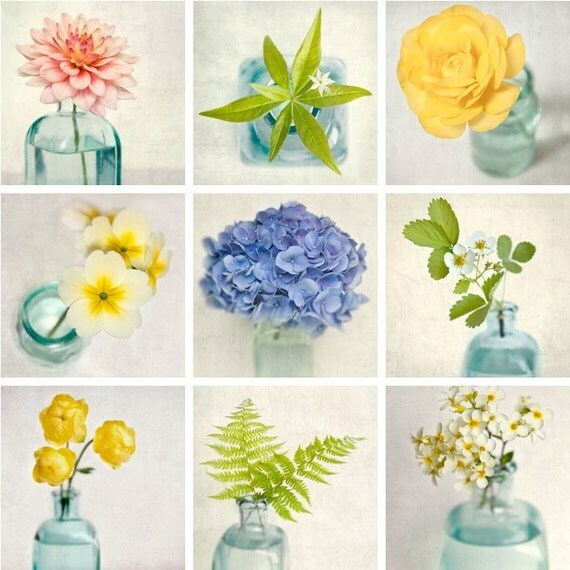 This set of nine floral photos would look lovely in the spring and summer months. For some fun art, I love these two posters! And the red adds that lovely bit of warmth for the fall and winter months. 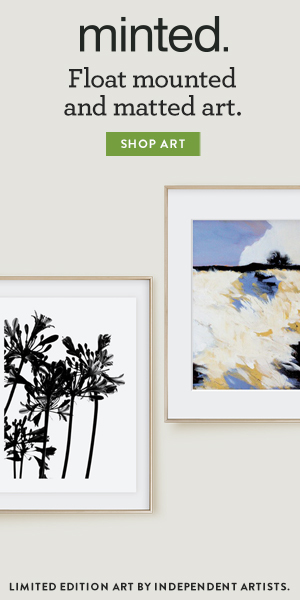 The two paintings above by Michelle Armas would be perfect at any time of the year! I love the abstract look with the bright colours. Any favourite artwork that would look fab in this space? Let me know in the comments!